Île Saint-Ignace is connected to the north shore by a series of three bridges. This has contributed to the development of larger agribusinesses on the island, such as this dairy farm. 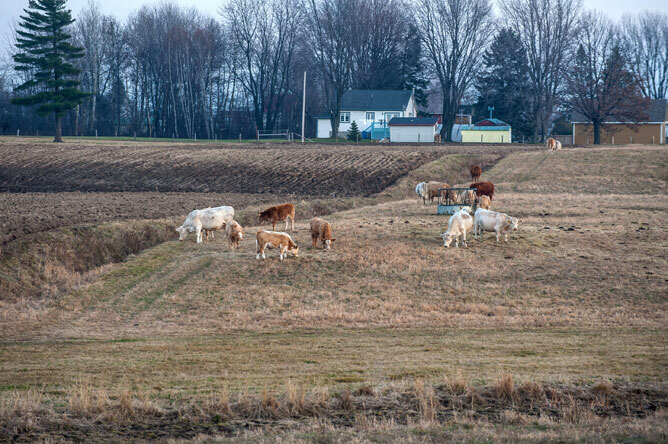 Beef cattle are also raised on the island. A bridge leads from Île Dupas to Île aux Castors, which is connected to the north shore by another bridge. 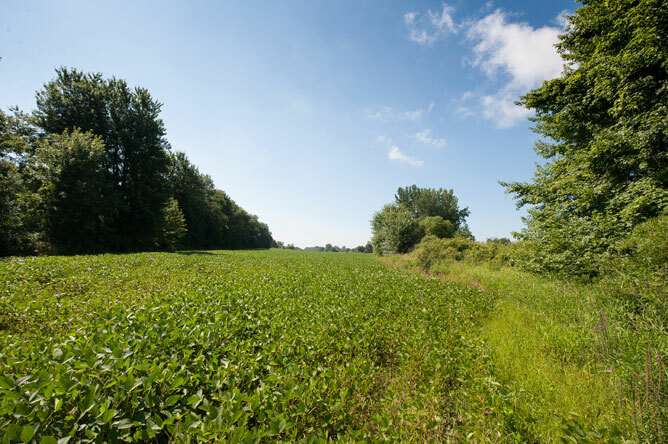 The rich pastures of Île Dupas are used to graze livestock and to grow hay and grains. This late 19th century wheel plow was used to till the soil. 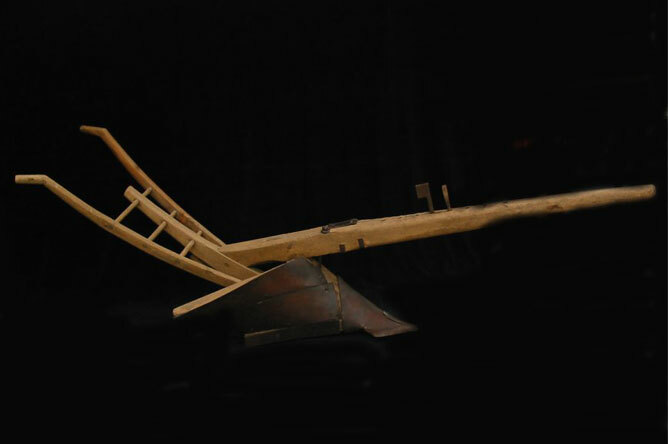 An ox or horse would pull the plow while the farmer held the handles to guide the plowshare. This method of plowing was very hard work. 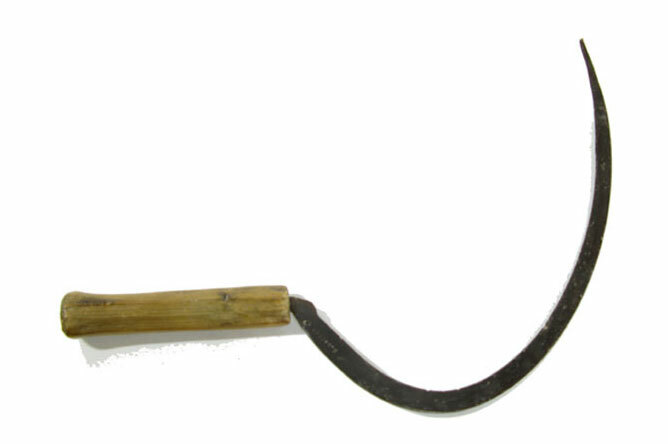 This mid-19th century sickle was used to harvest grain: wheat, barley, oats and rye. 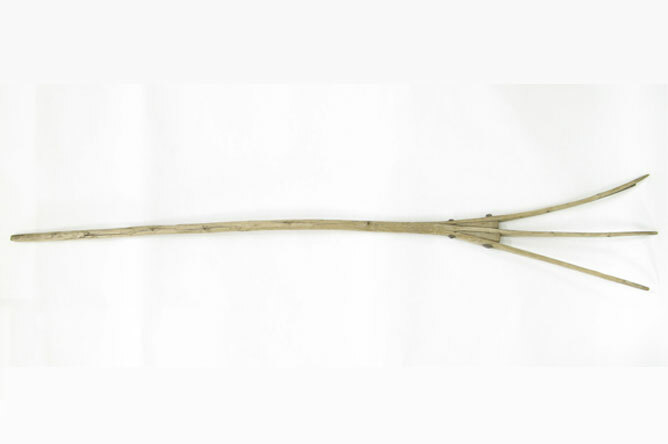 This 19th century pitchfork was used to collect cut hay. 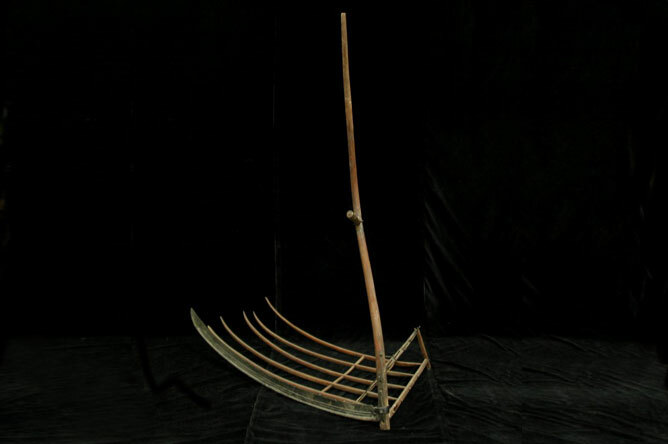 The sharp metal part of this cradle scythe was used to cut grain stalks, while the part resembling a pitchfork was used to gather the stalks into a neat pile. 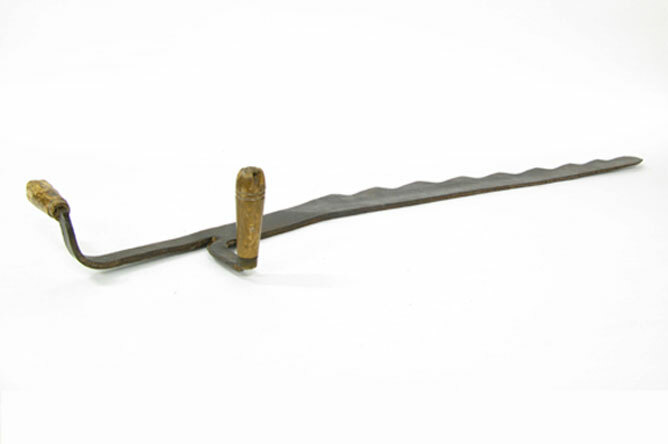 This mid-20th century hay knife was used to cut large bales of hay stored in a hayloft. 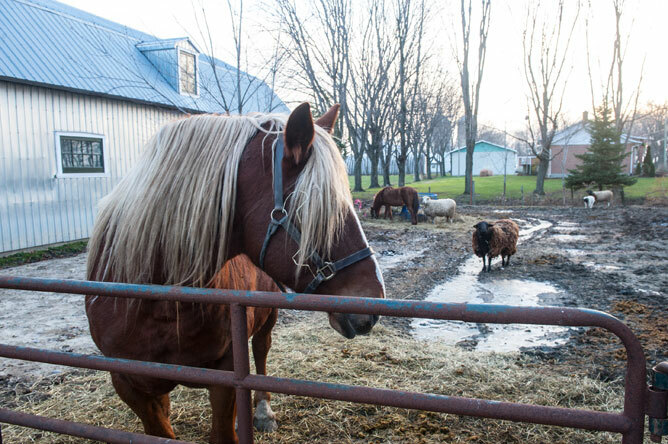 As visitors drive along the winding roads, they will see many cattle and occasionally catch sight of a few horses or sheep. 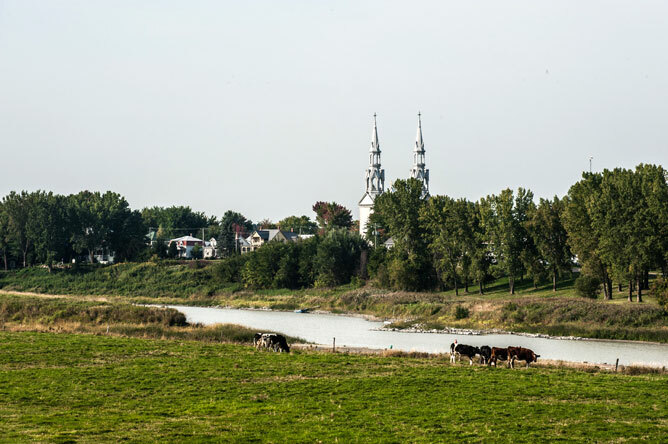 There are even farms on a few islands that can only be reached by boat, such as Île aux Ours. 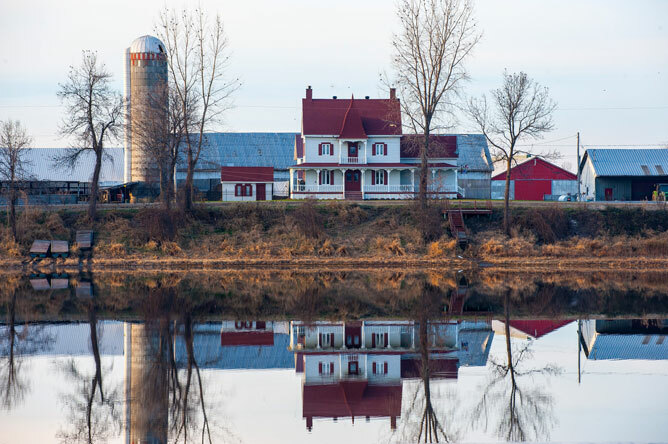 A beautiful house and farmstead on Île aux Castors are reflected in the channel separating the island from Île Dupas. 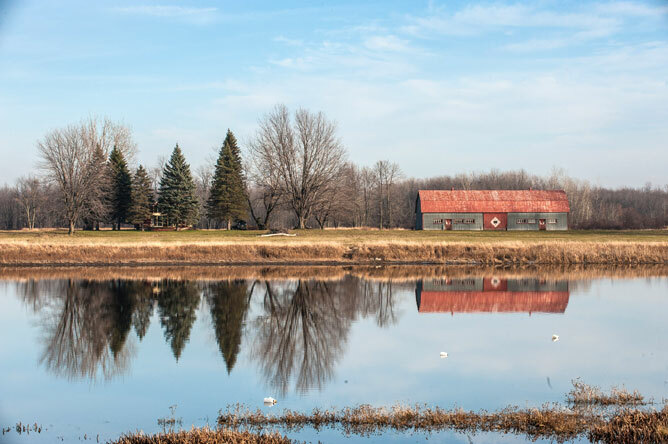 This is a peaceful and welcoming scene. 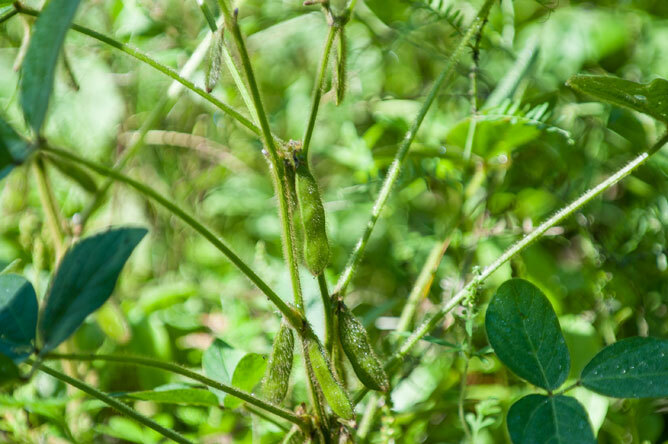 Soy, a high-protein legume, is becoming an increasingly popular crop in the region. 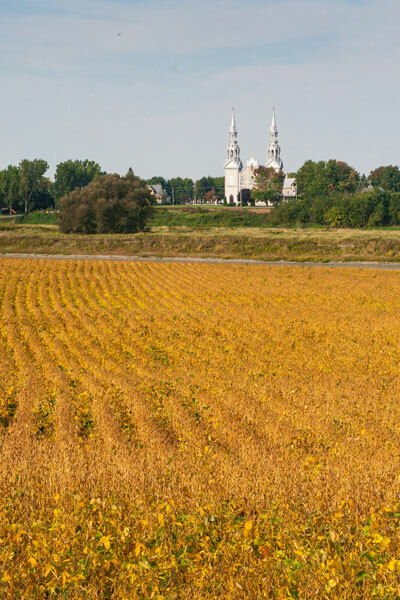 Fields of soybeans alternate with cornfields, adding variety to the landscape. 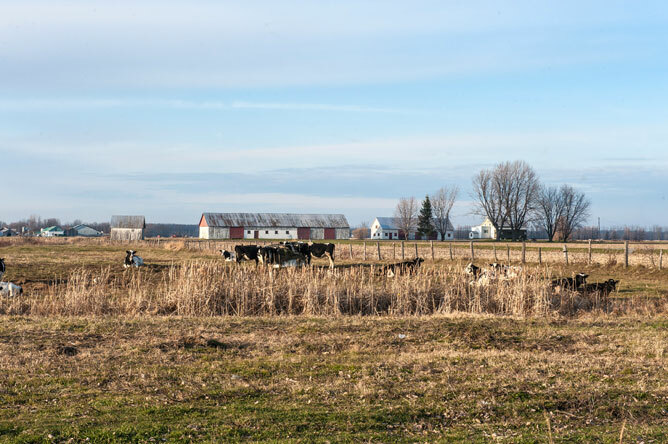 Watching cows graze peacefully in the fields along the Yamaska, it can be hard to remember that the river is suffering major pollution due to agriculture. 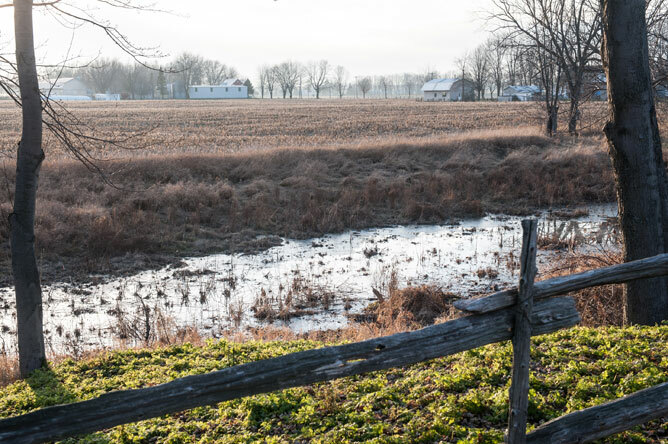 Agricultural practices will have to change significantly in the near future to improve water quality by preventing nutrient- and pesticide-loaded sediments from running off into the river.